Truck Camper Magazine reviews a 2017 Northstar 12STC, a 12-foot, hard side, non-slide, non-basement, dry bath, side-entry truck camper. Can a 12-foot luxury flagship truck camper succeed without a slide-out? Be sure to also check out Northstar’s response to this 12STC review. 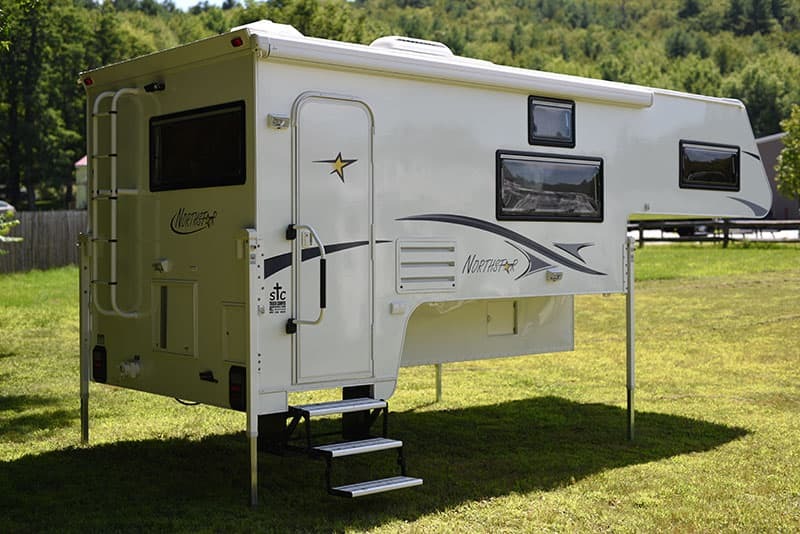 When the Northstar 12STC debuted in Truck Camper Magazine in February of 2015, the very description of the model challenged almost everything the truck camper industry was doing. A 12-foot, side-entry, non-slide, dry bath truck camper with no basement? 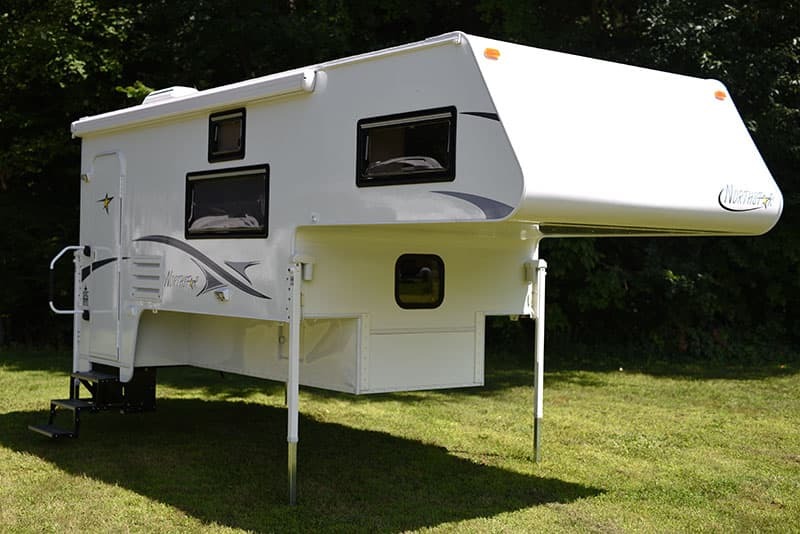 Ask nearly anyone in the truck camper industry and they would tell you that no camper over 10-feet in floor length sells without a slide-out anymore. What was Northstar thinking? “The truck camper industry has gotten away from its no-basement, no slide-out, roots. With the 2016 Northstar 12STC, we’re getting back to those roots, with a refreshed and modern approach,” stated Rex Willett, President of Northstar Campers. During the design and development of the 12STC, Rex and his team studied truck campers from the 1980s, consulted with veteran truck camper designers including Bill Durkee, and talked with Northstar’s dealer network and select customers. Through extensive physical prototyping, the 12STC’s floor length ended up being 12-feet to accommodate the desired dry bath dimensions. With an optional air conditioner, awning, and two installed AGM batteries, the 12STC dry weight came to 3,486 pounds. For a 12-foot hard side, these were some impressive numbers. “If you don’t want the extra weight of slide-outs, the high side-walls of slide-outs, or the top-heavy center of gravity of slide-outs, the 12STC is a new option. The dry bath 12STC gives you a big coach with lots of room and lots of storage at a significantly lower weight and height,” explained Rex, but he wasn’t done. With the 12STC, Rex believed he had an opportunity other manufacturers were blind to. The question is, was he right? Can a 12-foot luxury luxury truck camper succeed without a slide? Let’s find out. 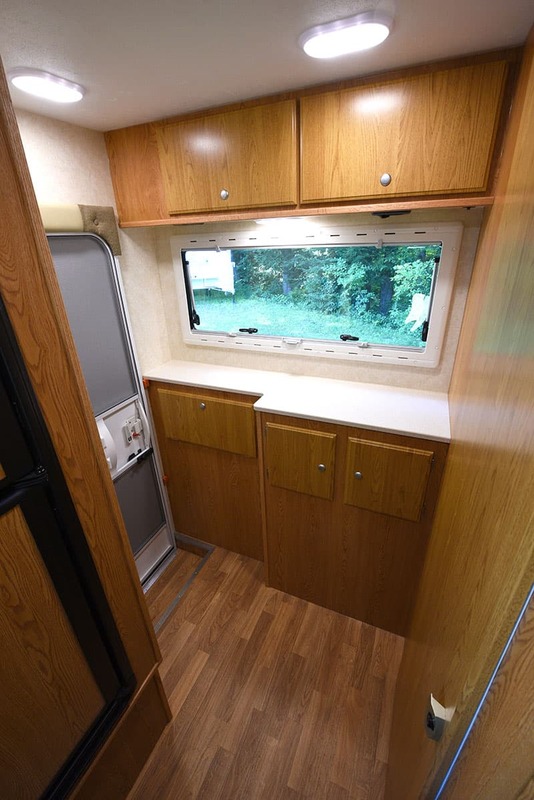 Immediately inside the 12STC, the entry way design and cabinetry is a total knockout. 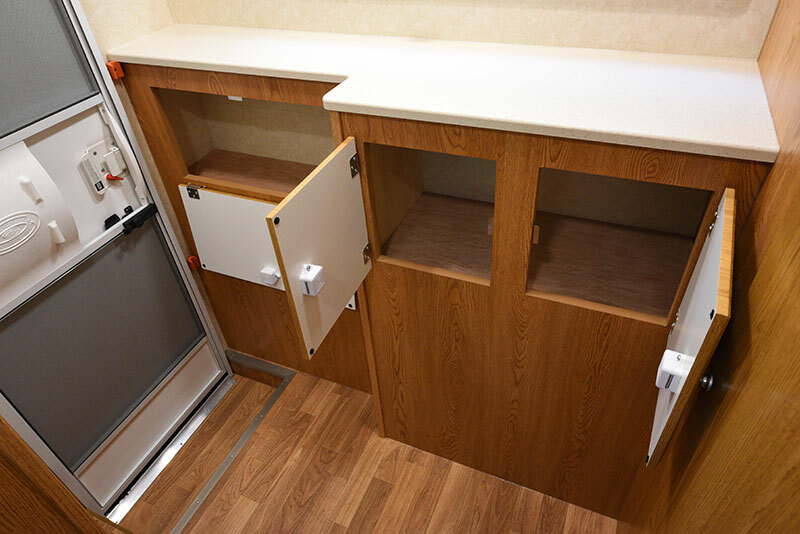 In an area that is typically under-designed and under-utilized, Northstar has provided upper and lower storage cabinetry, useful countertop area, a window that almost fills the available wall space, and a fully equipped charging station. I kept returning to this area envisioning how it could be so much more than just an entry way. Imagine an open laptop, a tall folding desk chair, a fresh cup of joe, and a long awaited book manuscript finally in progress. You might see a small workshop, a crafting and scrapbooking area, and/or a sewing room. Ideally the countertop desk area would extend and retract, and a folding chair would affix to the facing wall. There are so many possibilities here. Quite the auspicious beginning!